"By moving our services to Immaculate Conception, the Ordinariate will be located in the heart of the DC Metro area." 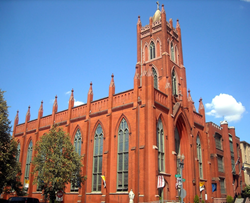 St. Luke’s Bladensburg, the Episcopal congregation that made headlines in 2011 as the first U.S. parish to join the Roman Catholic Church under a new, expedited process, is moving to Washington, DC on September, 7, 2014. Their new home is Immaculate Conception Catholic Church, 1315 8th St, NW, in the diverse Shaw neighborhood two blocks from the Walter Washington DC Convention Center. 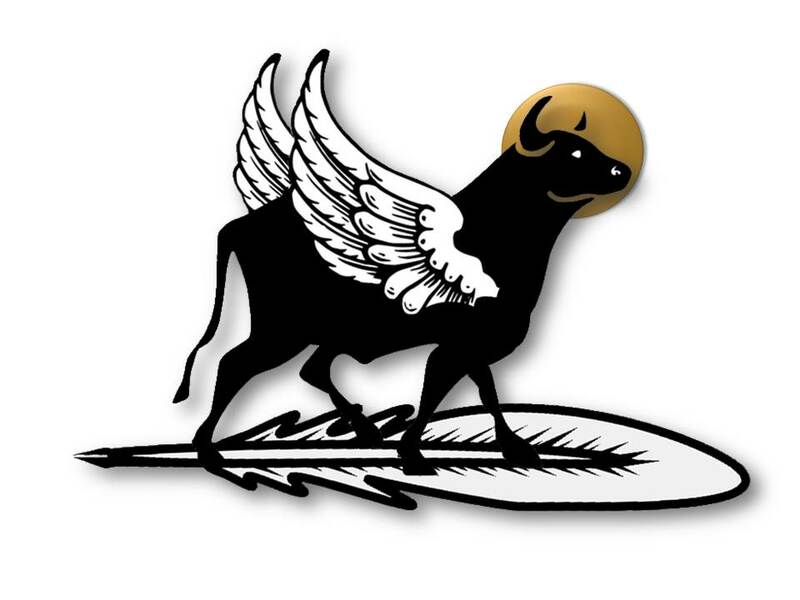 The congregation will now be known as, Saint Luke’s at Immaculate Conception. The move accommodates its present parishioners from DC, Maryland, and Northern Virginia in a more centralized location, and hopes to attract new members who can now easily reach St. Luke’s by Metrobus and Metrorail Green and Yellow lines at the Mt. Vernon Sq. 7th St/Convention Center. For its inaugural Mass at Immaculate Conception (8:30 am on Sunday, Sept. 7), St Luke’s is honored to host Monsignor Jeffrey N. Steenson, as celebrant and preacher. (Steenson, who previously served in the Episcopal Church as Bishop of the Diocese of the Rio Grande, was appointed by Pope Benedict XVI to serve as the first Ordinary of the US Ordinariate on January 1, 2012). The Ordinariate Use Mass, celebrated at 8:30 am each Sunday through Friday, is in addition to Immaculate Conception’s weekly Sunday 11:00 am Choral Mass and 6:00 pm Latin Chanted (Novus Ordo) Mass, as well as their weekday Masses at 12:15 pm. Episcopalians and Anglicans will feel particularly comfortable with the Ordinariate Use Mass; St. Luke’s is in communion with the Holy See and fully upholds the teachings of the Catholic Church, but celebrates the liturgy according to an approved translation of the Latin Rite which beautifully integrates familiar, traditional-language prayers from the Book of Common Prayer. Historic Places by the United States Department of the Interior in September 2003. Ordinariates), the women of The St. Benet Schola will provide the chant at the 8:30 am Sunday Mass at Immaculate Conception. The group will draw on the Anglican plainsong tradition, while at the same time emphasizing the universal, Catholic nature of worship, by singing the ancient chants and texts of the Sacred Liturgy. The new Ordinariates are structures similar to a diocese and provide a door for former members of the Anglican Communion, which includes US Episcopalians, to enter the Church as a group or community, while still retaining some of their theological, spiritual, and liturgical heritage. The Roman Catholic Church also has other Ordinariates, notably, the military Ordinariates that work in collaboration with local bishops, to serve Catholics in the armed forces. 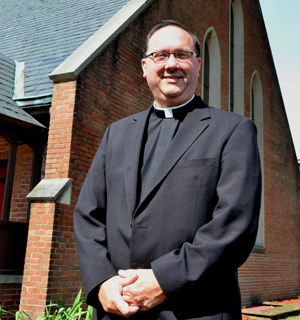 Monsignor Jeffrey N. Steenson is the Ordinary, which is comparable to a Bishop. In addition to the Personal Ordinariate of the Chair of Saint Peter, which includes communities in the United States and Canada, there are Ordinariates in Australia and the United Kingdom.